An exclusive members' club in Devonshire Square in the City of London asked us to come up with plans to fit both an outside step lift and a platform lift within the lobby. The Devonshire Club needed products that would fit in with the club's appearance with a blend of traditional and modern decor. The Devonshire Club features 3 large bars, 2 lounges and plenty of outdoor space in particular a large stone laid terrace and garden. The club also features restaurants and 68 rooms available to both members and non-members with the usual functions rooms and event spaces available for conferences and meetings. SUSD, the firm behind the project, were looking for an indoor platform lift to be installed between the reception and main bar so that disabled guests could make use of the club's facilities. The difference in floor level was 1000mm and the client did not want a cumbersome platform lift so instead chose one of our products. 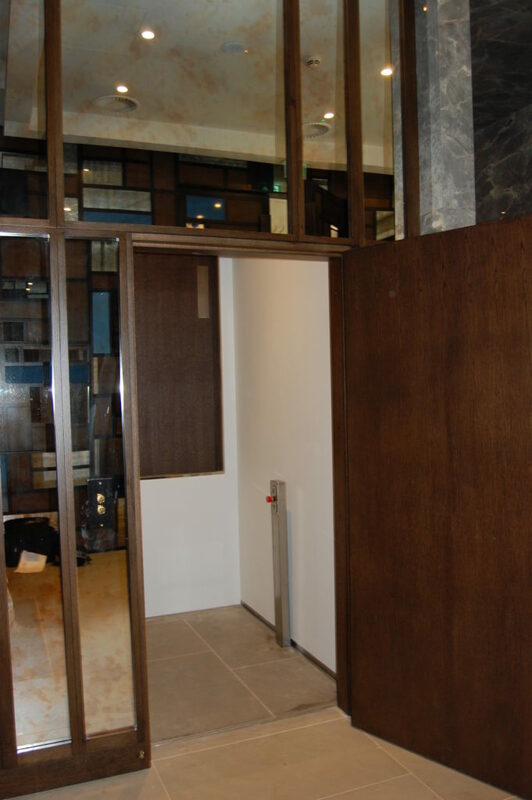 The lift was installed in a mirrored glass shaft to match the building's existing wall. In addition, the lift's platform was finished with the original stone flooring so that the platform disappears into the floor on the ground floor. The door into the bar area was made out of hard wood to match the bar's decor for a stunning finish. 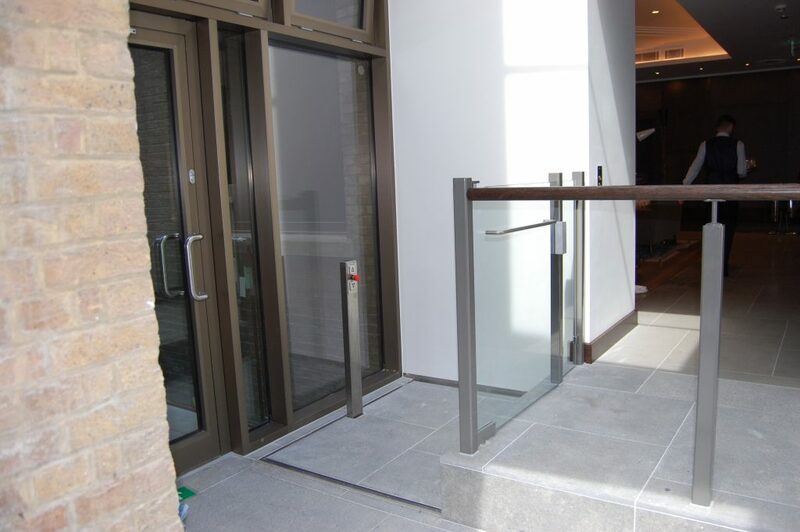 In addition to the lift connecting the reception and bar, the client needed an outdoor step lift so that guests could enjoy the winter gardens that are situated outside of the club. As the travel for the lift was only small, we installed another platform lift which matched the stone laid terrace. 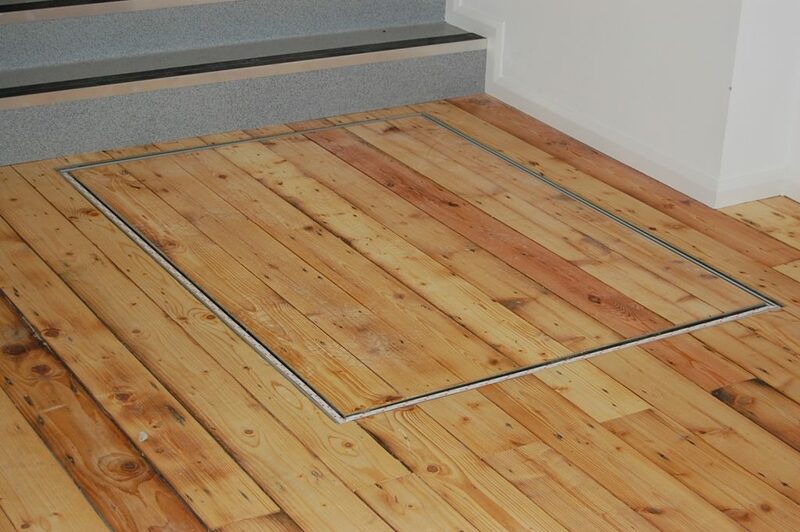 This lift is extremely versatile as well as being rugged and the original flooring or tiles can be used so the lift can become hidden in plain sight. 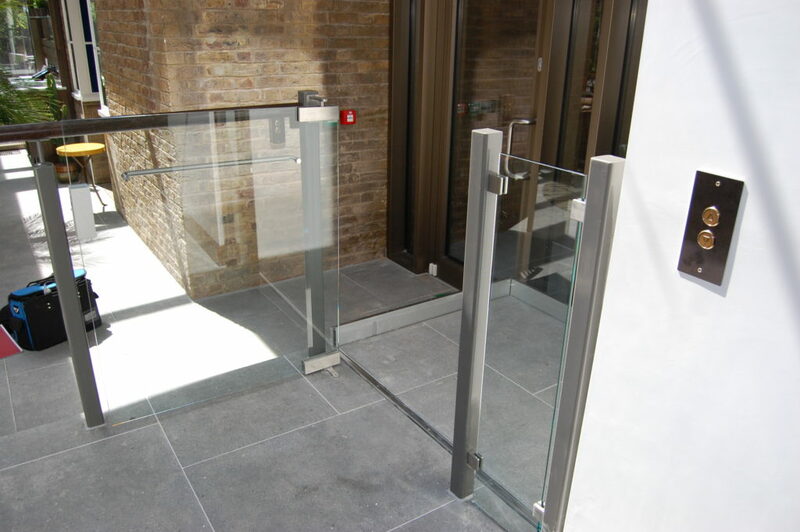 The lift was finished with a glass door to match the glass balustrade of the rest of the terrace. The client was extremely pleased with the finished of both lifts and how seamlessly they blended into the building's aesthetics. 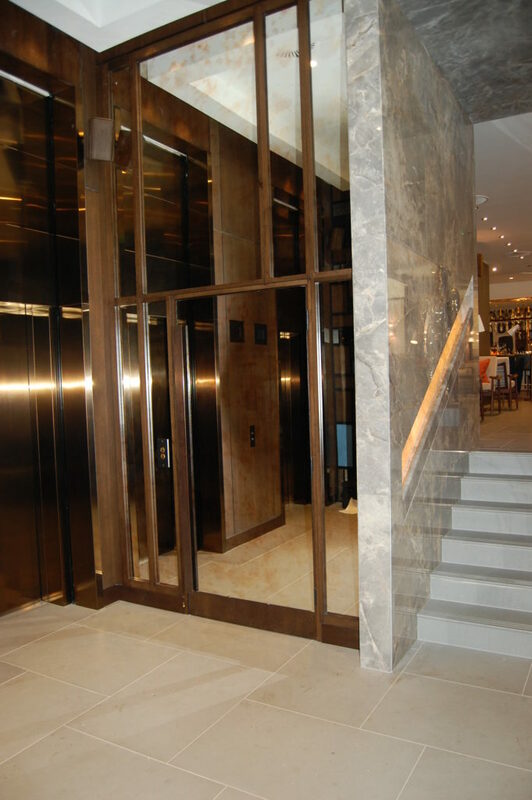 To see similar lifts to those fitted at the Devonshire Club click on the following links: Outdoor Step Lifts at Cheltenham Racecourse, Cams Hall Golf Club, 200 Grays Inn Road and Platform Lifts at the National Army Museum. Optique 2000 is an opticians in Wimborne, offering high quality glasses for customers all over Dorset. Due to increased demand for their glasses Optique needed to look to expand their business, they had 2 options, they either had to move to larger premises or look to expand the current site to maximise the retail space. They had a stock room upstairs but access was difficult so they couldn't turn it into a sales floor without making it easier for customers and staff alike to get up there. A simple shop lift was the best option to increase their sales floor. They chose to install a Vector system, a lift that comes in its own aluminium shaft, it also only needs a 50mm pit below the floor level. This means that there is little builder's work with minimal cost. 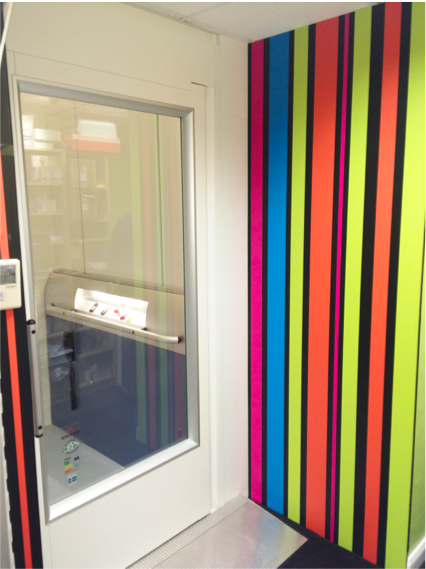 The lift fitted had dimensions of 1400mm x 1100mm with automatic doors on both floors. The shop lift was finished in gloss white with glazed glass doors to give the lift a spacious and airy feel in what was a small space. The lift was fitted in 2 days and has led to Optique doubling their retail space without having to move from their current in location in the heart of Wimborne. 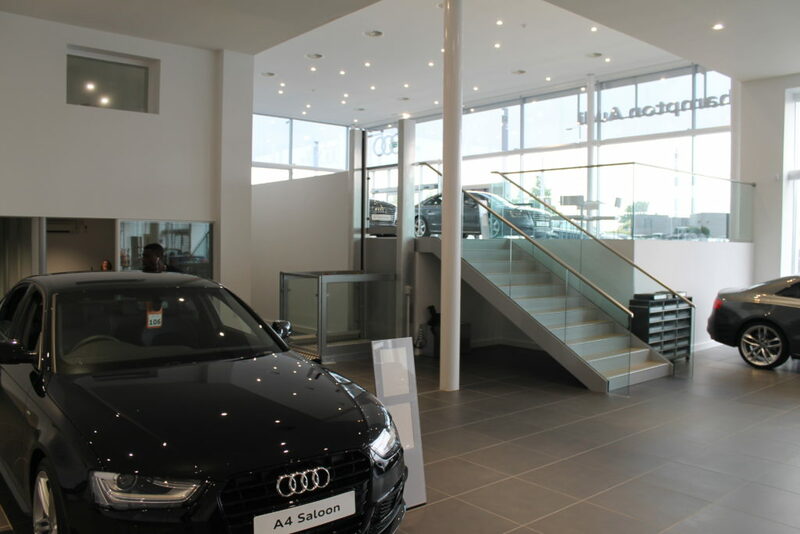 The General Manager of Audi Northampton came to us to ask if we could design a solution so that wheelchair users could get from one side of the showroom to the other side with a floor level difference of over a metre. He really didn’t want a ramp as it wouldn’t match the showroom’s aesthetics and would take up much needed retail space. 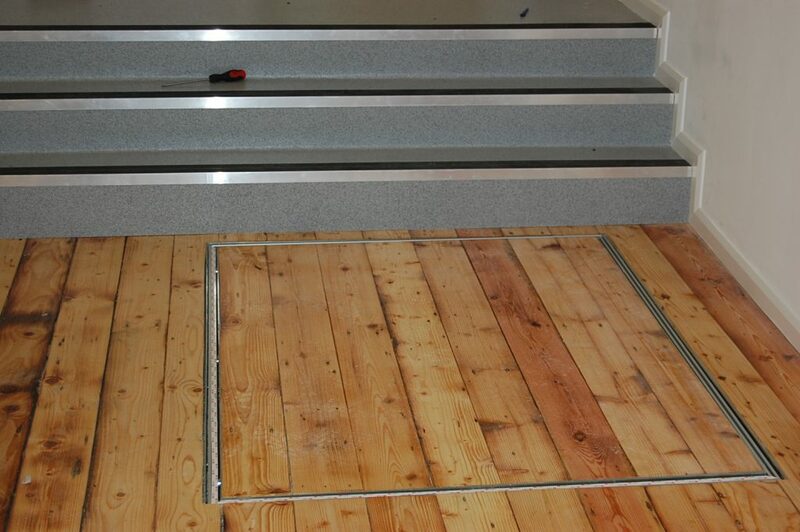 Ramps can take up to 40m2 and so really aren’t the option for busy shop floors and retail spaces! Therefore a disabled platform lift was the only solution. 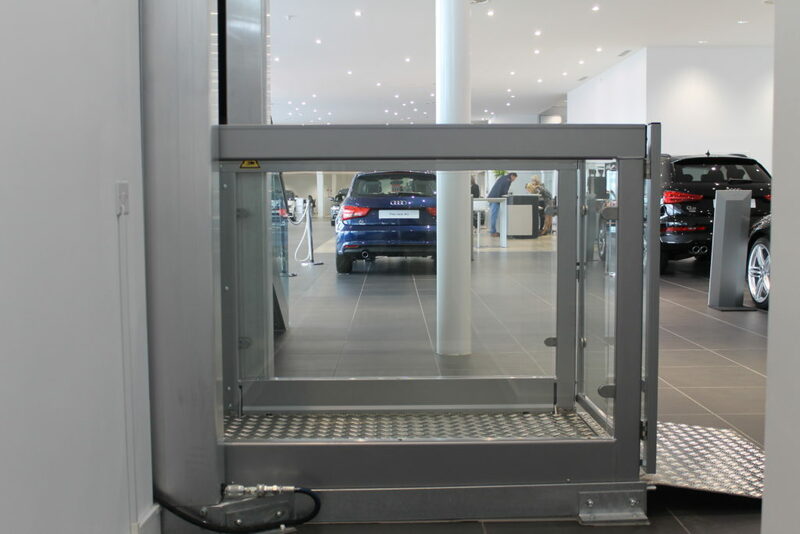 We designed and then installed a LP8 platform lift from Guldmann with dimensions of 900mm x 1530mm with a 1200mm travel. 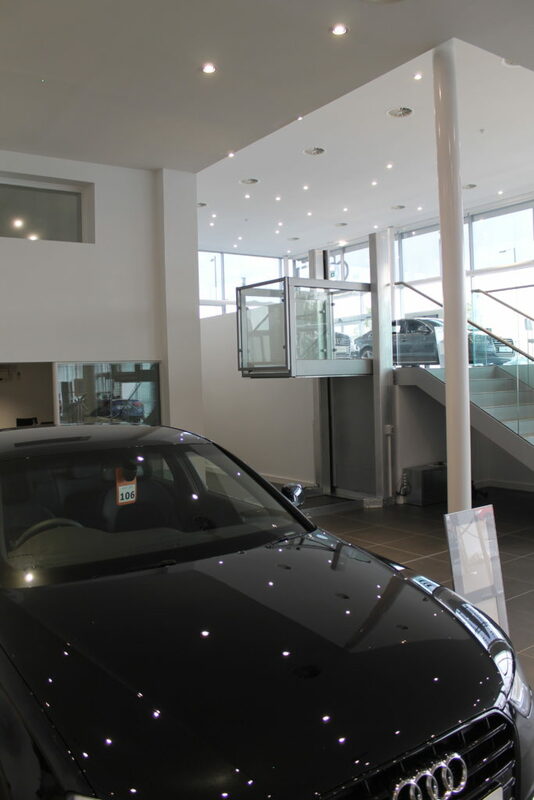 The lift was finished in grey with glass doors and sides to match Audi’s colour scheme and the client’s requirements. 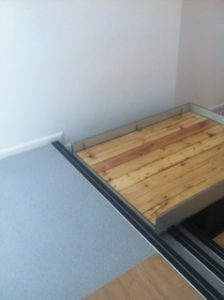 The platform lift was fitted and installed in just 1 day! 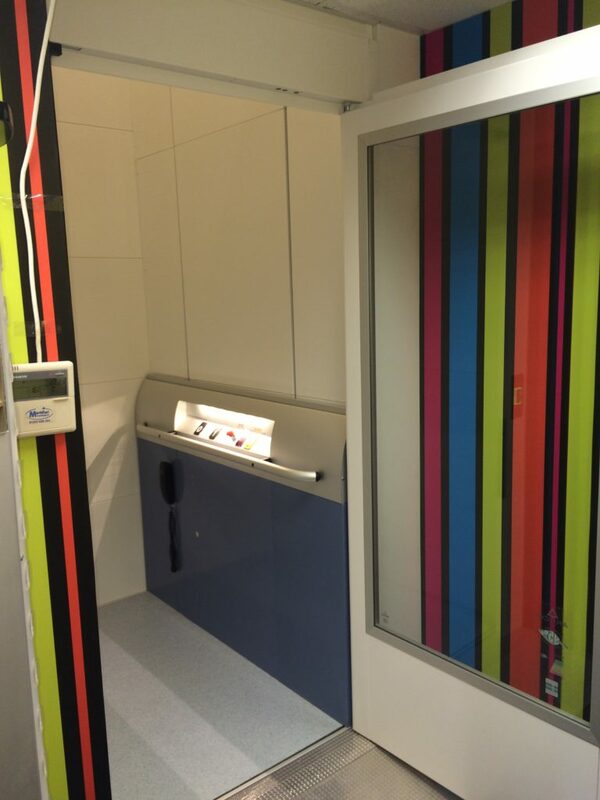 The lift now allows both staff and clients alike to use both levels of the showroom and provides vital access for wheelchair users.